While Zimbabwe is on a charm offensive aimed at convincing the international community to support Zimbabweâ€™s debt relief strategy and attract new funding, at home the actions of the ZANU PF government vindicate what we in the Peopleâ€™s Democratic Party (PDP) have long said. We have consistently argued ZANU PF has neither the willingness nor ability to reform. All they are doing is to create a smoke screen so as to attract funding. ZANU PF political commissar and Minister of Local Government, Saviour Kasukuwere, seems to be very determined to continue undermining the constitution and the rule of law. He is already embroiled in a scandalous and illegal attempt to dismiss the mayor of Harare without following the due process of law as set out in the constitution. 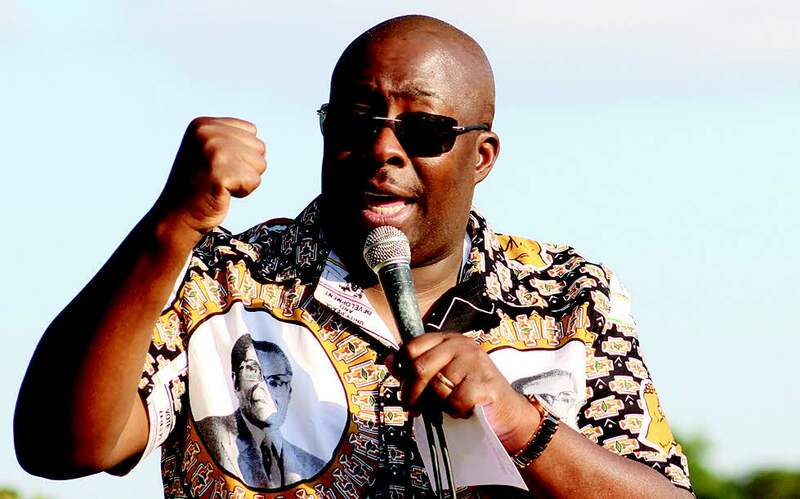 To add to his illegal path, Kasukuwere promised ZANU PF youth supporters that he will soon partisanly parcel out 1500 hectares of land to them. Such abuse of public office for the furtherance of manifestly partisan political party agendas is against the founding principles of the constitution as set out in section 3 and the national objectives set out in section 8 of the same. For Kasukuwere to pronounce critical government policies which address key national interests such as housing at a rally and subsequently allocate resources at a rally is the highest level of undermining the principles of our constitution and an insult on due process. ZANU PF youths have been involved series of land grabbing activities and fraud with the Godfrey Gomwe case being a recent example. Thus it is irresponsible for the Minister to then create grounds for continued illegalities in the name of empowering the youths by promising them land. Very soon open spaces will be invaded by these youths and desperate home seekers swindled off their resources in the process. Kasukuwereâ€™s actions prove what we in the PDP have long argued that ZANU PF lacks commitment to embark on genuine reforms. Any reform programme must always be underpinned by respect of the rule of law and due process. The zeal and gusto shown by Kasukuwere in perpetuating and promoting illegality is far from encouraging reforms and attracting investment. Which serious investor would want to bring their money in an economy where policies will be pronounced at a rally and also resources immediately distributed there. As the PDP we argue in our policy blueprint HOPE that in order to address the housing crisis, a comprehensive and robust national housing programme must be embarked on which is targeted at clearing the 1,5 million housing units backlog within 5 years. Such a programme will be underlined by transparency, accountability, inclusivity and funded from the NSSA pension funds to ensure that those contributing to the fund actually get affordable housing as part of ensuring social security sustainability. This is a programme the incorrigibly corrupt ZANU PF government is incapable of ever implementing hence its resort to thuggish like policy designs which are underpinned by chaos and complete lack of planning.